"Personally Identifiable Information" is non-public information that is personally identifiable to you and obtained in order for us to provide you our Website. Personally Identifiable Information may include information such as your name, email address, and other related information that you provide to us or that we obtain about you. When you use the mobile application, we may use GPS technology (or other similar technology) to determine your current location in order to determine the city you are located in and display information with relevant data or advertisements. We will not share your current location with other users or partners. If you do not want us to use your location for the purposes set forth above, you should turn off the location services for the mobile application located in your account settings or in your mobile phone settings and/or within the mobile application. Like many Website operators, we collect information that your browser sends whenever you visit our Website ("Log Data"). This Log Data may include information such as your computer's Internet Protocol ("IP") address, browser type, browser version, the pages of our Website that you visit, the time and date of your visit, the time spent on those pages and other statistics. Under the Child's Online Privacy Security Act, no Website operator can require, as a condition to involvement in an activity, that a child younger than 13 years of age divulge more details than is reasonably required. 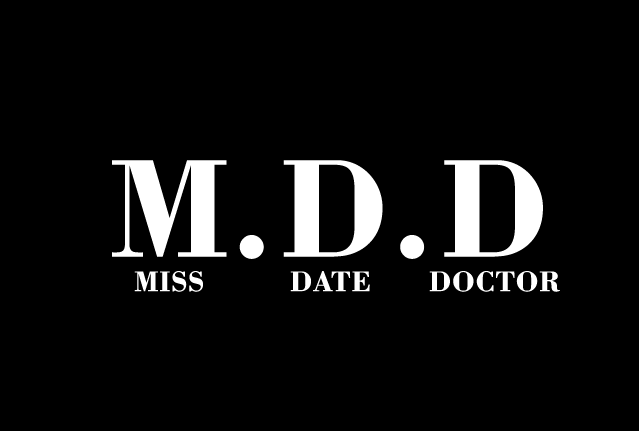 Miss Date Doctor abides by this demand. Miss Date Doctor just collects information willingly offered; no information is gathered passively. children under 13 can submit only their email address when sending us an email in our "Contact Us" area. Miss Date Doctor makes use of the email address to respond to a one-time demand from a child under 13 and afterwards deletes the email address. In case Miss Date Doctor collects and maintains personal information relating to a child under 13, the parent may send out an email to us to review, alter and/or erase such info as well as to decline to enable any additional collection or use of the child's information. We may be legally required to disclose your Personally Identifiable Information, if such disclosure is (a) required by subpoena, law, or other legal process; (b) necessary to assist law enforcement officials or government enforcement agencies; (c) necessary to investigate violations of or otherwise enforce our Legal Terms; (d) necessary to protect us from legal action or claims from third parties including you and/or other Members; and/or (e) necessary to protect the legal rights, personal/real property, or personal safety of Miss Date Doctor, our Users, employees, and affiliates. We offer you the chance to "opt-out" from having your personally identifiable information used for particular functions, when we ask you for this detail. When you register for the website, if you do not want to receive any additional material or notifications from us, you can show your preference on our registration form.